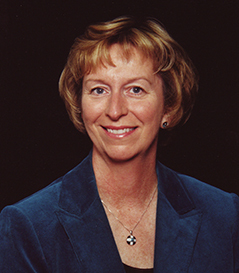 Lisa J. Lehmberg, Associate Professor of Music Education, holds a PhD degree in music education from the University of South Florida, as well as BM and MM Degrees in piano performance from the University of Illinois. She specializes in general music education, music education for students with special needs, world music education, and music education technology. Her research interests include urban music education and senior citizens’ participation in music. Dr. Lehmberg has given research and practice-based presentations at International Society for Music Education world conferences, National Association for Music Education national conferences, College Music Society/Association for Technology in Music Instruction national conferences, and National Multicultural Music Symposia, as well as music educator association conferences and professional development days in Florida, New England, and throughout the Midwest. She is author of the book The Challenges and Rewards of Urban Teaching: Six Elementary Music Teachers’ Perceptions of Effective Teaching and Pre-Service Preparation for Urban Classrooms; articles in Music Education International, Music Education Research International, and various state music educator journals; two encyclopedia chapters in Springer's Encyclopedia of the Sciences of Learning; and book chapters in the NAfME publication, Kaleidoscope of Cultures - A Celebration of Multicultural Research and Practice and the Rowman-Littlefield publication Engaging Musical Practices: A Sourcebook for Elementary General Music. In 2016, Prof. Lehmberg's book Music for Life: Music Participation and Quality of Life of Senior Citizens, co-authored with C. Victor Fung, was published by Oxford University Press. It presents a fresh, new exploration of the impact of musical experiences on the quality of life of senior citizens, and charts a new direction in the facilitation of the musical lives of people of all ages.